Jungle Red Writers: Tammy Kaehler--What're Your Anthems? 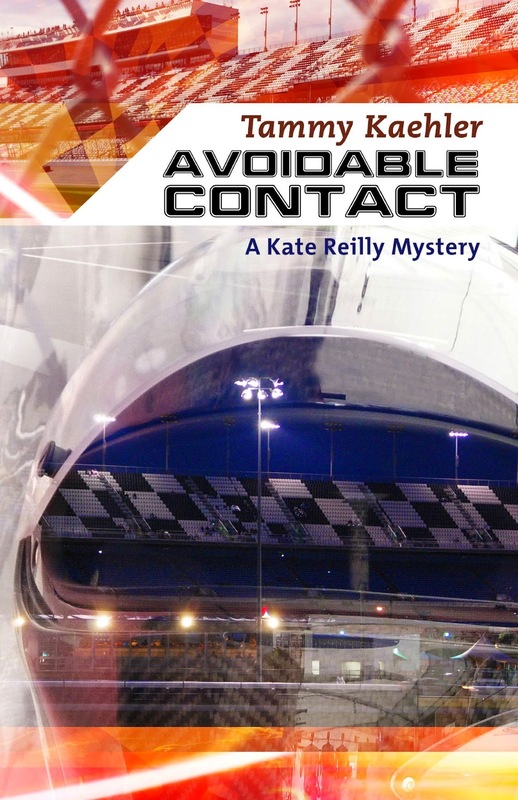 DEBORAH CROMBIE: I've just finished Tammy Kaehler's third Kate Reilly car racing mystery, AVOIDABLE CONTACT. Publishers Weekly says,"Snappy dialogue, a smart and affable heroine, and pacing reminiscent of 24 combine to make this entry as exciting as a spin around the speedway." With the first song, boom! I was struck by a vivid memory of place and time. John Mayer, “Bigger Than My Body,” a song I used to listen to while driving home from my very first writing group a decade ago. I remember being in the car, at a particular spot on a Northern California freeway, thinking “I’m going to finish this book about a racecar driver and get published.” Listening to the song the other day, I felt that ten-year-old upswelling of determination again. Then the second song played: “Blue Moon on Monday,” by Duran Duran, which, for a reason I can’t explain, saved my life a couple times in the last couple years. My day job has been busy and stressful, as was the third book I wrote during the same timeframe. This song on repeat smoothed out some rough edges once in a while. the release of my first book and trying to figure out how to write my second—more, trying to figure out how to “be an author.” Something about the lyrics—“So raise your glass if you are wrong/In all the right ways, all my underdogs/We will never be, never be anything but loud”—helped me believe I could find my voice and write another book. Fourth song: Mariah Carey’s “All I Want For Christmas,” which I listened to on repeat for three hours last December when I finished the first draft of my third book. I didn’t listen to the whole song this August, but I was immediately transported back to the joy, pride, and sense of accomplishment I felt last December. That’s when I realized: I was listening to the personal anthems of my thirties and forties. Most of us probably know what researchers have spent numerous studies proving: music and rhyme help us remember things. Even patients with advanced Alzheimer’s dementia will sometimes sing along to a familiar song. Memory experts can remember huge lists of information by setting them to rhymes or music. Some neuroscientists even think that our brains developed the ability to respond to music before the ability to respond to language; further, many of them believe we developed music and dance to aid in retrieving information. Bottom line: music stays with us. For proof, consider the dreaded “earworm,” that snippit of song that gets irritatingly stuck in your head. All of which means it’s no wonder memory is highly coded to music. It’s no wonder we vividly remember sensation and emotion associated with a particular song. And I figure I can use this. I’m particularly susceptible to anthems these days, because I’m desperately externalizing my struggle to get started on my next book—starting a new book is hard enough to do at any time, but during a book release, it’s even harder! I find that every time I gather myself to launch into writing a book, I want inspirational quotes, I want jewelry with “you can do it”—or “bigger than my body”—messages. I want empowering anthems. So what I’m listening to now is the Cobie Caillat song, Katy Perry’s “Roar” (“You hear my voice, you hear that sound/Like thunder gonna shake the ground” and “'Cause I am a champion and you’re gonna hear me roar”), and “Let It Go” from “Frozen” (that one’s due to some more day job stress), as well as a bunch of current bubblegum pop that makes me cheerful enough to bounce in my chair. I swear, I’m going to start writing soon! I know many authors talk about a soundtrack for their books, but I always think that’s music particularly associated with the content or the theme of the book. For example, another recent favorite of mine, “Girl in a Country Song,” (hilarious video, check it out!) won’t have anything to do with my next book, but its theme of women thumbing their noses at male stereotypes is making me laugh and reminding me of what Kate has to deal with in the racing world. Now that I think about it … maybe that is a soundtrack. So here are my questions for Reds and readers. Do you have anthems? What do you use to pump yourself up—for writing, for cleaning the house, or for any tough task? And if you have a personal soundtrack, what songs are on it? What are your anthems? I'm a soft and quiet music person. I enjoy church music, classical music, and west coast smooth jazz. I can't say I use music to pump myself up for any particular task; rather, it's listening to music for the joy of listening to the music . . . .
Tammy, I'm looking forward to reading your new book. No music when I'm writing, ever. English has its own rhythm, as does my "voice," and music conflicts. However, music to clean the house, paint the walls? ALWAYS. Hard Sixties rock-- Buddy Holly, early Beatles, Stones, the Animals, the Kinks, and psychedelic stuff like Jefferson Airplane because one pill makes you larger. And later stuff, too-- Gloria Gaynor, Blondie, Pink. Let's get this party started. Welcome, Tammy! You're book sounds fantastic. It's great to meet a fellow Pink fan — I remember from a post about a year ago none of the other Reds knew who she is! For that past year, I have found myself going back to Sara Bareilles's BRAVE, when I need that song that is going to inspire me to carry on - whether it be because of a bad day at work, struggle with writing a review, general depression, or what have you. It's a real anthem. Perfect for encouragement. And Susan, count me as other huge Pink fan. I was already a fan when I saw her open for Justin Timberlake, but after that performance, I vowed that I would one day see her live - as the headliner. Sorry about the funny capitalization… I am in the doctors office, and doing this by voice! Hello! Thanks to Deb and the other Reds for having me here to day. And for the kind words! Joan, I have those music moments also: listening for the simple pleasure of the chords and melodies. But I'm also willing to bet you've got some favorites that are guaranteed to cheer you up if you're down, which is certainly also music provoking a reaction, just not a "pumping you up" one! Kris, for some reason, I've never heard "Brave," can you believe it?! I'm going to listen to it today. 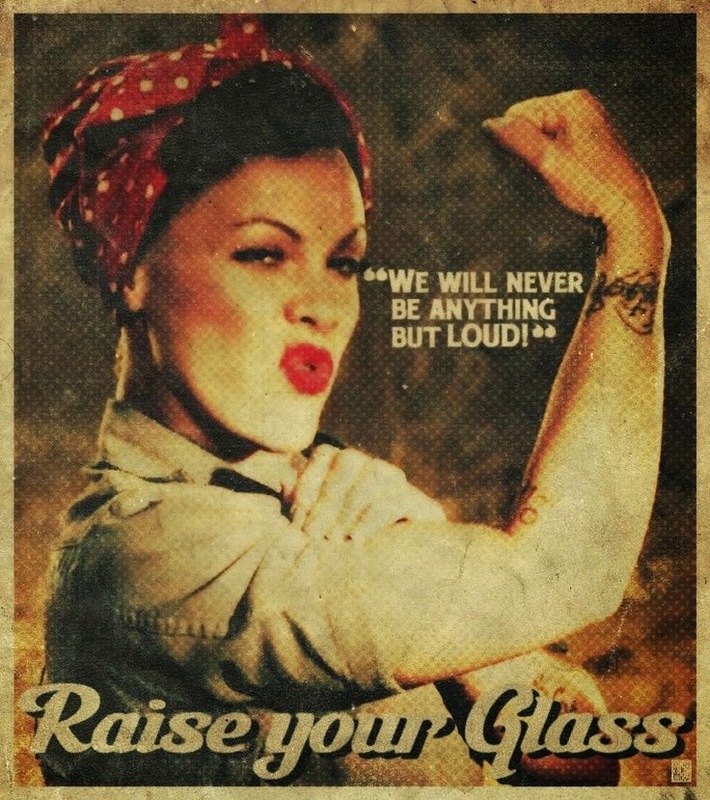 And did you make it to a P!nk concert yet? Hank, yes! "Defying Gravity." Such another good anthem. And "Let it Be" and "Nessun Dorma," what beautiful pieces. For me, "Nessun Dorma" is the quintessential song to move my soul--for Joan's joy of listening. It usually makes me weep. I love that i get to go investigate what you're all coming up with (never heard of Obvious Child, Hank). More songs headed to my list! I did watch it on TV, but that's not the same. But she has a long career ahead of her still. Let us know what you think of BRAVE. I suspect it is going to be a new favorite. I'm like Ellen, can't listen while writing. things get stuck in my head. But now that you mention it, I do have a theme for my December book: Who Let the Dogs Out?? Hi, Tammy! Congratulations on the new book - so happy to see you here!! For inspiration, my go-to song is from the Dixie Chicks, Goodbye Earl. Two women gleefully off an abusive spouse. To music. It puts me in a mind for writing a murder mystery and not to take myself too seriously. Hallie, also funny, and dark and kind of twisted. I knew I appreciated you! The Dixie Chicks are great, aren't they? Another anthem on my list is their song "Not Ready to Make Nice," about being (figuratively, this time) bruised and battered in public opinion and sticking to who they are. Tammy, hi! What a great post. Music is such a huge part of who I am, but oddly enough, I want quiet when I'm writing. Anthems? oh yeah. Several, depending on moods and situations, but one in particular that popped into mind as soon as I started reading this post. During a spectacularly bad time in my life I listened to and sang (loudly) Tom Petty's "Stand me up at the gates of hell, I won't back down." I love that song and I credit it with helping me come out a stronger, better, happier person. Kaye, it's amazing what the right lyric and melody (not to mention the rest of the elements of a song) can do for us, isn't it? Great empowering phrases in that song! Hi Tammy! So great to have you here! I'm a P!NK fan, too, by the way. So I think I need to work on anthems. Very interesting about music and the brain, isn't it? My dad developed dementia, and music, as well as the lyrics to songs he'd sung for years, was the very last thing to go. Makes me think we should all be listening to MORE! Thanks, Deb! That Green Day song is such a great, moody one, I can absolutely see it informing the mood of a book! We have enough fans here, maybe we should have a "Reds Go P!NK" excursion to a concert. In our virtual world, at least! Tammy, I love this! I don't listen to music while I'm writing, but each of my series has a soundtrack (and yes, I have a general "get it done" soundtrack for myself, too!) For me, the Go-Gos get me fired up, plus almost any Girl Groups from the sixties. Since I'm juggling different series, I've learned that each cast of characters has to have different musical tastes so I can easily tune into them. One character loves Van Halen, another loves 80s pop, and one listens to Doris Day. Music helps me tune into each of their worlds. Great topic! Music is integral to my writing but I only listen to artists that evoke a specific mood. I rely heavily on Kings of Leon and Lana del Rey. The rhythm and tone of their music fits my writing style perfectly. Where most music would distract me, their songs are a perfect match for my characters and the landscape they inhabit. Thank you for sharing! I'm looking forward to reading your work. Thanks, Karin! I love that you have music that suits (and informs?) your writing. And Diane, it has to be mod music for your writing, doesn't it?! I envy you your book soundtracks ... the most I've ever come up with is a single song--in one case just a single phrase from a song ("You had a bad day" for my second book, Braking Points). But maybe I'll work on a set of songs. What a fun topic, especially discovering new songs, Tammy. Thank you for the links. When I write I like piano music, which is not easy to find. I have a collection of great stuff, carefully selected over the years, and slotted into an iPod/iTunes folder called "Writing". Anything with words distracts me, but the right piano music will ease me right into the "zone". Brave and Roar are both great tunes! I don't know that I have a personal anthem. But I have "moods." Relax and have fun music (country), time to get it done music (thinks like Aerosmith and Bon Jovi), relaxation (classical). And when I need to write sword fight scenes I turn on Pirates of the Caribbean. Growing up in a noisy household and working in an open-office environment, in the city (there's a police car siren in the background right now) means I can concentrate in any noise level, so music while I'm writing doesn't bother me. Have you ever heard of a service called Booktrack? Anyone? I got an email from them yesterday - a service to create a soundtrack for your book. Sounds kind of cool (although I'm sure one person's soundtrack would not be another's). Kristopher — are we twins, separated at birth? Karen (in Ohio), hey again! Have you discovered that simply starting to play your folder of writing music gets you in the frame of mind to write? Wouldn't that be great?! Mary, I LOVE that you watch/listen to Pirates of the Caribbean when you write fight scenes. That's fantastic and makes tons of sense. I certainly watch racing when I need to be inspired for Kate's in-car scenes. Writing--almost anything by Nick Drake. Get myself moving? Buckwheat Zydeco, Chris Isaak, David Bowie's Let's Dance, Tom Petty, Rodney Crowell, and lots more. Driving--anything by Eric Clapton, Johnny Cash. Just for company, some of my girls, like Bonny Raitt, Joan Armatrading, Jony Mitchell, Roseanne Cash. Growing up, I had a 45 (!) of Nobody Does it Better by Carly Simon, a theme from a James Bond movie that I would play over and over to feel better. Also Dream Weaver, go figure. PK, "Why" is such a great song. Annie Lennox, incredible. Another of hers is one of my favorites,too: "Sisters are Doin' it For Themselves." Perhaps less deep, but lots of fun and a good message. The Doors, "Light my Fire" long version for timed free writes, proof reading, and mopping the kitchen floor. For the big buildup to finding a dead body, Mozart's Requiem. And New Orleans jazz works better than coffee during those dreary hours when I'm deleting as much as I'm writing. It's been awhile since I've written a book, but that's exactly what happened, Tammy. I heard the music and was drawn into the writing. Tammy and Susan and Kristopher, I am another Pink fan, and I love that she speaks up for the different, the ones who don't fit in, like in "Perfect." I have known some teens are just "perfect" and are getting through all that teen mess to their true selves and appreciation of that uniqueness. Telling them that it will be better someday and that they are beautiful and special doesn't always help, but an artist like Pink can reach so many that need that message. Kristopher, I think you and Susan will have to make room for a triplet. I love Sarah Bareilles and "Brave," too, probably because the video shows what I often envision myself doing when I'm in public and a song I like comes on, dancing it out. "I Choose You" (another great video) is another favorite, and one I keep thinking would be great for when my son and his wonderful girl get married. The song that I would really like to sing while going through the streets or standing upon a hill is "Carry On" by Fun., with its lyrics of not giving up and the inspiring music that encourages us all to carry on. "May your past be the sound of your feet upon the ground. Carry on." Margaret, let me just note that you equated free writing and proofreading with mopping the kitchen floor. Now I'm singing "One of these things is not like the others!" Kathy, I don't know "Carry on," but I'm going to check it out. Here's another good blog topic: what we try to represent in our books and their analogs in other entertainers. I'm not saying I'm P!nk, but I'm trying to portray a female who won't let anything hold her down also. And I suspect that's true for many of us (or insert your own underdog gender/ethnicity/type). Congrats on the new book Tammy. Long-time SCCA member here and I love to see women involved in motorsports. If I'm cleaning house and NOT listening to an audiobook I put n some 60s music - either rock or folk - and sing along. If I'm reading and want background music I listen to yoga radio on Pandora. If I'm driving and want to stay awake, it's Radar Love, Santana, or Ricky Martin, for example. My workout playlist includes "Sing Sing Sing" by Benny Goodman, "It's Raining Men", "Get This Party Started" by the aforementioned Pink, and lots by Gloria Estefan. I like all kinds of music except country/western. Hi Reine! Good song there, with that epic lyric.